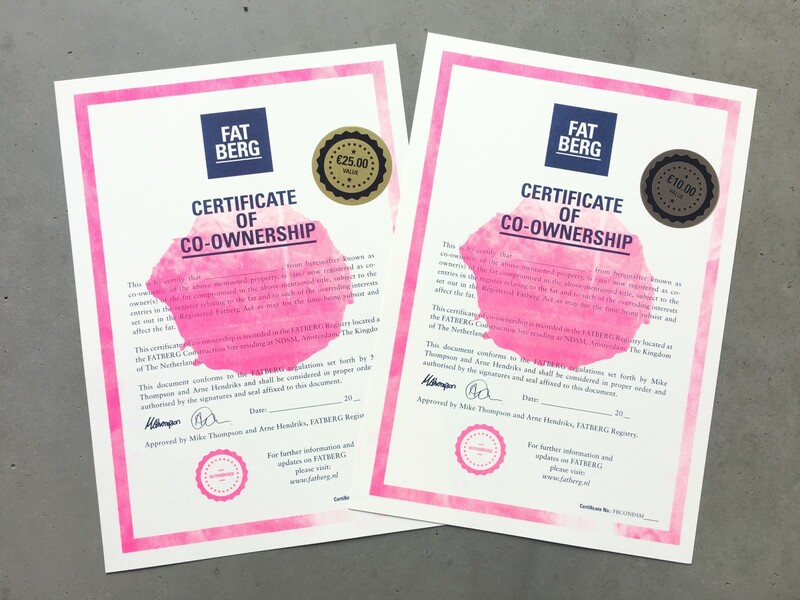 FATBERG invites you to become its co-owner. We’re hoping to create a small yet interested community of individuals who would like us to succeed in building the world’s first floating island of fat. In return for your investment we offer certificates with an individual value of 10 or 25 Euros. We’d also like to mention your support on our website and on our sponsorwall at the production site at NDSM.